Who Really Cares For The Uninsured? As an ER physician who has run a clinic for the uninsured for the last three years, I applaud ?Cover the Uninsured Week? (CUW) for educating Americans about the plight of these unfortunate citizens. Our clinic now has nearly 2500 uninsured patients ? over half the practice. It is called PATMOS ? the island to which ancient Rome banished its political prisoners. Today, PATMOS receives the political exiles from our healthcare system. Just three weeks ago I appealed their case before the Joint Economic Committee of Congress. I asked its members to pursue policies that will make health insurance fairer and more affordable for everyone not by passing universal health insurance but by abolishing the tax exemption for low co-pay, low deductible pre-paid medical care that has in effect forced the 44 million uninsured to subsidize the health insurance of the rest of us. I informed the Committee about how much less the uninsured pay at clinics such as ours because we don?t take insurance. Our fees run just $35 for ear infections, $50 for pneumonia, and $95 for simple lacerations ? about one-third those of the local urgent care and one-tenth those of the local ER?s. We can keep our charges so low because we require Payment At The Moment Of Service (PATMOS being its acronym) and thus avoid the crushing costs of processing small medical claims ? a service from which the uninsured clearly do not benefit. As a result, our overhead runs about $200,000 less than that of other family practices. As one who actually treats the uninsured (as opposed to merely talking about covering them), I have come to realize that health insurance should not cover routine medical care in the same way that car insurance does not cover oil changes or brake jobs. Such coverage costs too much, delegates power unnecessarily to distant bureaucrats, and causes delays that can only be described as inhumane. For example, according to London?s Sunday Times, over one million Brits are awaiting elective surgery ? such a backlog that their government is subcontracting the work out to other European nations. According to Canada?s National Post, the median wait in Canada for an MRI is 12.4 weeks. At PATMOS, it?s usually within two days. In Canada the median time from a mammogram to a mastectomy is about 14 weeks, long enough for a localized cancer to metastasize. By comparison, last summer an uninsured patient had life saving surgery for lung cancer within just 4 ? weeks of his initial visit to our clinic with a worrisome cough. Surprisingly, about half of our patients have some form of insurance and twenty percent of these have Medicaid or Medicare. Clearly, getting America covered is not the same thing as getting Americans timely, quality care. The British and Canadian governments might have the power to make healthcare ?free,? but they cannot contain its costs. Costs are exacted in terms of longer and potentially fatal delays in treatment and fewer innovations. Should we mandate universal coverage in our country it will mean earlier retirement for experienced physicians and fewer of our best college graduates choosing medicine as a career. Without caregivers, there can be no healthcare because no one ? not even government ? can mandate other citizens to care. If we try to cover routine medical expenses, more Americans will remain without insurance. But why should we cover every little ache and sniffle when ordinary Americans are now empowered to pay for everyday healthcare with pre-tax, tax-deferred personal and family medical accounts through Health Savings Accounts (HSA?s) and Health Reimbursement Arrangements (HRA?s)? Don?t be fooled by CUW?s sentimental ad campaign this week. Some of its sponsors are using the uninsured (and our tax money) to try and persuade us to forfeit control over our healthcare dollars so that they can control one-seventh of the national economy and our medical care. CUW has ignored the rapidly growing grassroots movement in PATMOS-type clinics (that do not presume on the American taxpayer as it does) despite their increasing notoriety. PATMOS was featured in the center column of the Wall Street Journal?s front page and on CNNfn. Others have been on the cover of U.S. News & World Report, CBS Evening News, the AP News Service, and CNN. CUW?s website doesn?t even mention SimpleCare, the largest network of such clinics. CUW?s concern for the uninsured is as fictional as the ER doctor played by Noah Wyle, its spokesperson. When you see their ads this week ask yourself, ?Who really cares for the uninsured?? 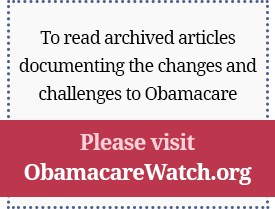 Previous Article: Who Really Cares For The Uninsured? Next Article: Who Really Cares For The Uninsured?